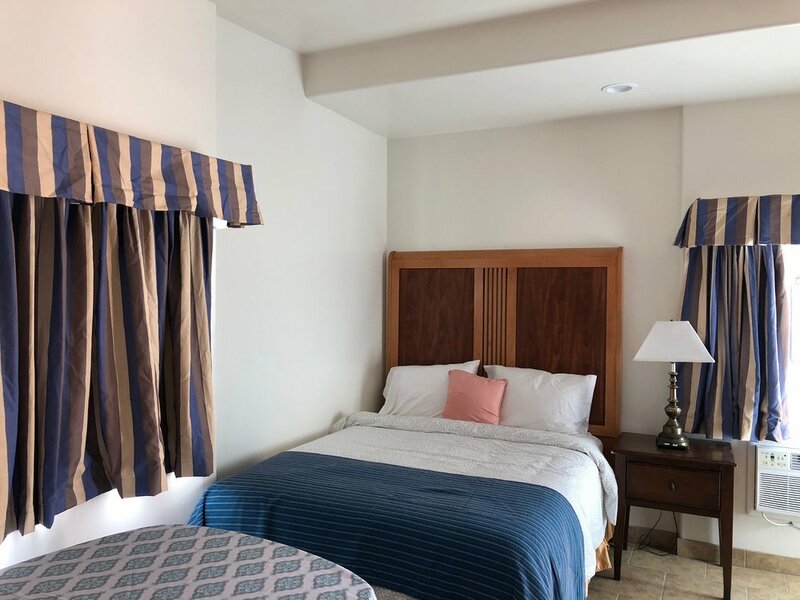 Our Two Room Queen Friends & Family Suite has been completely remodeled and refurnished. 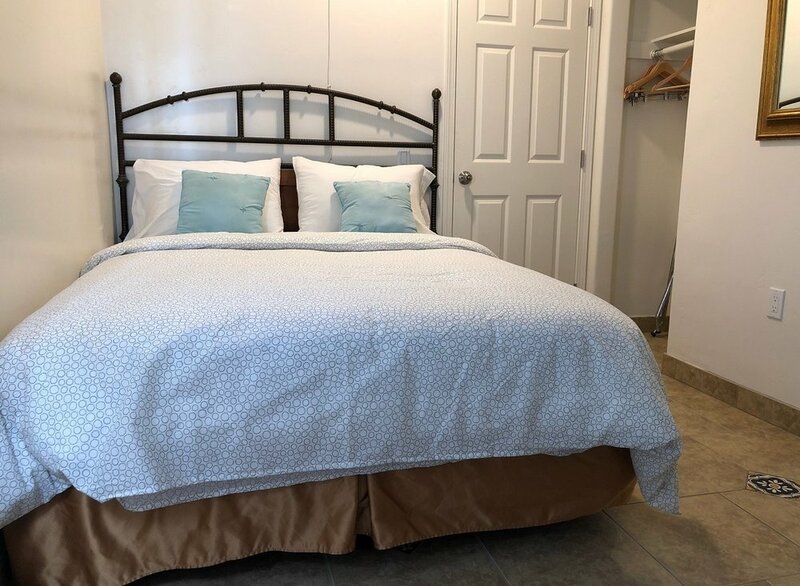 Each room has a Queen Bed featuring Fresh European Linens and electric fireplace. Cozy Bistro Table and bar area to enjoy your evening beverages or privately enjoy your morning coffee. 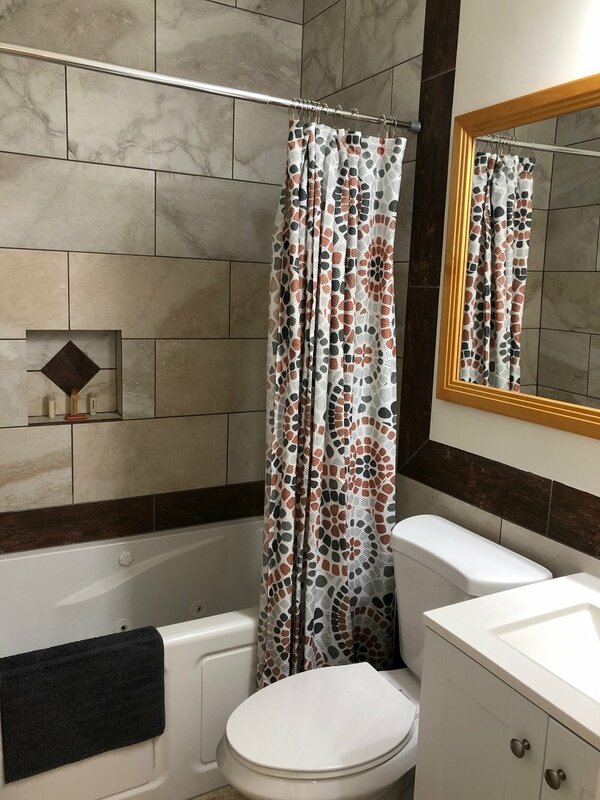 Beautifully custom tiled shower with spa tub offering Fluffy White Towels and Baronessa Cali Tarocco Silician Red Orange bath amenities. 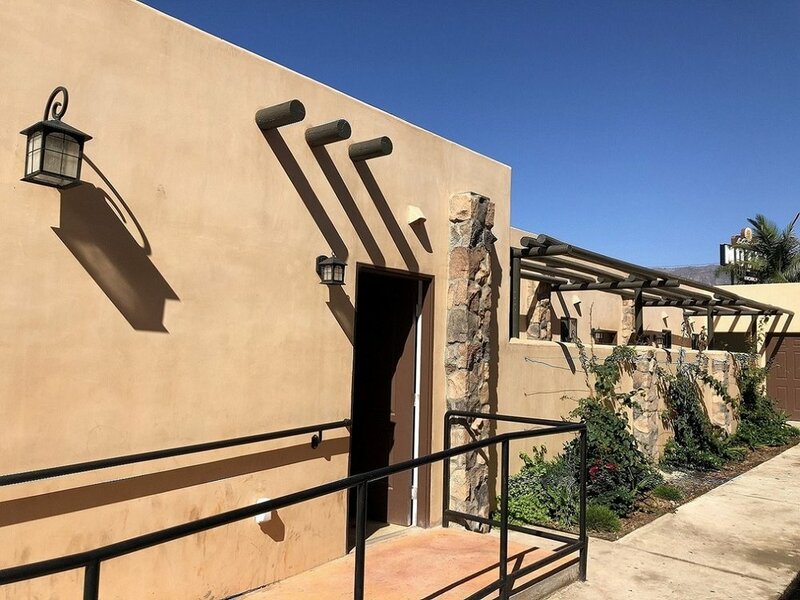 ADA room with private parking and entrance, has full ADA compliant bathroom.